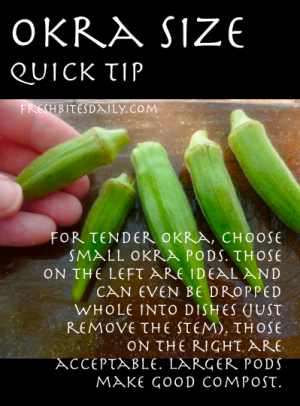 Smaller okra pods are far more tender. They are so delightful that you can cut off the stem end and drop them whole into soup. 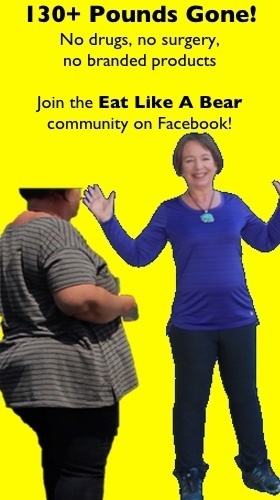 In the picture, the ideal sized pod is on the left in my small hand. The pods to the right are certainly edible but they are not ideal. You will see bigger pods still in the marketplace, but they will be tough. I would not bother with them. If you have grown okra you know the pods can get giant on the plant. Try to harvest the small pods daily until you build up enough for your recipe.